mali Archives - Africa M.E. DAKAR/WASHINGTON (Reuters) – A Malian militia said on Wednesday it had obtained a sport utility vehicle abandoned by U.S. special forces in neighboring Niger during a deadly ambush last October, and offered to return it to the United States. Four U.S. special forces members and at least four Nigerien soldiers were killed in the raid in the western Niger village of Tongo Tongo by dozens of militants armed with machine guns and rocket-propelled grenades. Islamic State’s West Africa affiliate claimed responsibility. 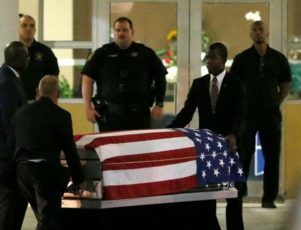 The ambush marked the first U.S. combat casualties in Niger. It sparked an international debate about America’s covert role tracking Islamist insurgents in the arid and thinly-populated Sahel region, south of the Sahara desert. It also prompted discussion within the United States about the military tactics being used in remote battlefields. After the incident, President Donald Trump clashed publicly with a congresswoman who accused him of speaking insensitively to the pregnant widow of one of the American soldiers who was killed. Colonel Mark Cheadle, a spokesman for the U.S. military’s Africa Command, said it was investigating the statement made by MSA-GATIA, a Tuareg militia group in northern Mali, but that it could not confirm its claim to have found the vehicle. In the statement, which was accompanied by a photo of a beat-up blue Toyota Landcruiser and two military-style rifles, MSA-GATIA said it captured the material from unidentified “armed bandits” on the Mali side of the border with Niger in fighting on March 11 and 12. “The MSA-GATIA coalition proposes returning this material to American authorities by legal channels,” the statement said. The militia, composed mainly of ethnic Tuaregs, has frequently clashed with jihadist groups whose influence is on the rise in northern and central Mali. The jihadists have used Mali as a springboard for attacks into neighboring Niger and Burkina Faso, including coordinated raids on the military headquarters and French embassy in the Burkina Faso capital Ouagadougou earlier this month that killed eight people. Those attacks have alarmed U.S. officials, who fear that the Sahel could become a new haven for Islamist militants and have deployed hundreds of American troops to train local forces and gather intelligence. BAMAKO (Reuters) – Mali’s economy will grow 6 percent this year, bolstered by agricultural and mining production, the ministry of economy and finance said on Tuesday, up from an expansion of 4.9 percent in 2015. According to preliminary figures, the West African nation produced 8.04 million tonnes of grain this season, up from 6.98 million in 2014-2015, and 550,370 tonnes of cotton, an increase from 548,000 tonnes in 2014-2015. “The prospects are good,” Oumar Diall, head of Mali’s forecasting and economic analysis division, told Reuters. “The growth performance will be particularly in agricultural cotton but also gold exports,” he added. President Ibrahim Boubacar Keïta said last month that Mali produced 50 tonnes of gold in 2015 and hopes to produce more in 2016 as new mines comes online, though no specific forecast has been given. The projected economic growth this year would represent a turnaround for Mali, one of the region’s leading cotton producers, whose growth slipped to 4.9 percent last year, down from 7.2 percent in 2014. Malian government forces are embroiled in a conflict with Tuareg separatists in the north of the country. Although a peace deal was signed last June, mediators have struggled to enforce it and militants have continued to stage deadly attacks including at a hotel in the capital Bamako in November. BAMAKO (Reuters) – Mali has produced 2,451,321 tonnes of rice as it approaches the end of the 2015/16 harvest, up 13 percent from last season but short of an initial forecast, government statistics showed on Thursday. The landlocked country, the second-largest rice producer in Africa behind Nigeria, will largely finish harvesting this month and continue marketing its production next year. The remaining harvesting is unlikely to add significantly to the season’s total output. “The increase this year is generally explained by good rain, an increase in planted land, new strains like ‘Nerica’, the use of more fertiliser especially with the help of subsidies,” said Balla Keia, head the rural development ministry’s statistics division. Last season, the West African country produced 2,166,830 tonnes of paddy rice and had projected a record 2,599,450 tonne rice crop, with a surplus of 285,000 tonnes above expected domestic consumption. 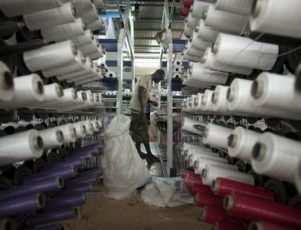 BAMAKO (Reuters) – Mali will miss this year’s cotton production target of 650,000 tonnes as late rains in the Sahel region have struck the start of the harvest, the head of the state-owned CMDT cotton company said on Monday. 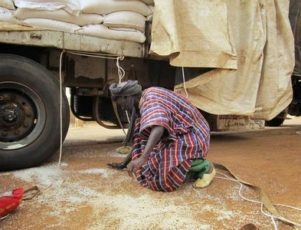 Kalfa Sanogo said the heavy rains were damaging stocks of picked fibre and cotton still in the fields. 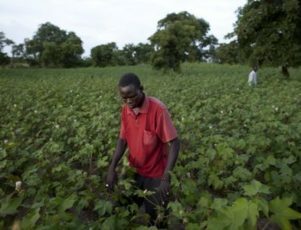 The cotton harvest began last week in the West African country, which ranks as Africa’s second-largest producer behind Burkina Faso. 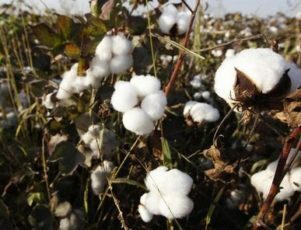 Mali had targeted production of 650,000 tonnes of raw cotton for the 2015-2016 season, up from output of roughly 550,000 tonnes the previous year. He declined to provide a revised forecast for national production. DAKAR (Reuters) – Mali’s economic growth is set to slow this year to 4.9 percent, because of weakening manufacturing output, despite a strong harvest, the International Monetary Fund (IMF) said on Wednesday. The Fund said in a statement following its annual Article 4 consultation on Mali’s economy that inflation would also remain moderate at around 2.4 percent this year, up from 0.9 percent last year. “After an unusually strong growth performance in 2014, when the real gross domestic product (GDP) grew by 7.2 percent, growth in 2015 is expected to be around 4.9 percent, in line with its historical trend,” said Christian Josz, IMF mission chief, in a statement. “The harvest is turning out well, but manufacturing output weakened in 2015,” it said. The IMF signed a $46.2 million Extended Credit Facility with Mali in December 2013, and it said the programme targets for end-June were met thanks to prudent management of government finances. Mali, a major exporter of gold and cotton, had been embroiled in a conflict between its government and Tuareg separatists in its north. Although a peace deal was signed in June, mediators have struggled to enforce it.